The region of Languedoc-Roussillon (Languedoc-Roussillon Property Guide) has been hugely popular with British buyers since the early 1990s, when high property prices in Provence forced buyers to look further afield. Less expensive then its glamorous neighbour, the Languedoc benefits from a similar sunshine record and stunning landscapes. And, the lure of the Mediterranean coast and culture is just as strong as in Provence. 2018 is likely to be a good year for Languedoc-Roussillon. What with sellers in the region no longer asking inflated prices, bargains can be found. 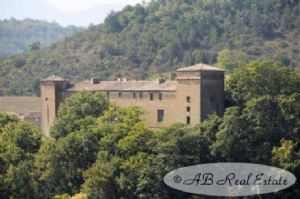 Languedoc property - why buy here? The Languedoc has a vast natural diversity, catering for all tastes. The region incorporates Mediterranean beaches and charming fishing villages, snow-capped mountains and a countryside ranging from vineyards to sunflowers and wild garrigue scrub. It has cosmopolitan cities such as Montpellier (Montpellier Property Guide), heritage towns like Carcassonne and a legion of market towns and picturesque villages. The Languedoc appeals to lovers of sunshine and easy living. The Languedoc's climate is superb, with around 300 days of sunshine in a year. Even in winter, it is often warm enough to dine outside at midday. The gastronomy is robust and flavourful (Languedoc Food - a serious subject! ), the wine plentiful, cheap and good. Imagine being surrounded by vineyards... and it's even better if they belong to you, as they would if you bought our fabulous wine domain in the Hérault. Artists are attracted to the extraordinary light of the region, especially to coastal towns like Collioure in the Pyrénées-Orientales. And anyone who enjoys outdoor sports will find the Languedoc idyllic. Rock climbing, white water sports, sea sports, skiing, golf, walking - all these and more are available, thanks to the coast, mountains, gorges, countryside, rivers and lakes of the Languedoc. 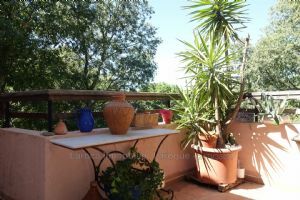 It is hard to find a bad location in the Languedoc, but different areas will suit different property buyers. Those seeking holiday homes may prefer the coast or the mountains, where lively resorts operate in season. The Languedoc also offers a stunning interior, with fertile plains filled with vines or sunflowers and wheat. If you crave city life, Montpellier is the most popular and the most expensive city in the Languedoc. But property in villages just outside the city are more reasonable. The coast is also highly sought after, and properties near the beaches or the Étangs (salt lagoons) are more expensive than those inland. 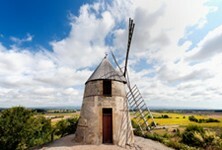 Cheap Languedoc property - where can you find it? 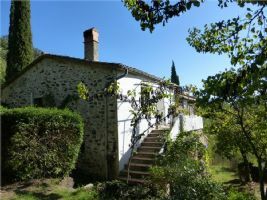 The cheapest property is usually found in the Aude and the Gard. Though this obviously isn't a hard and fast rule, as our selection of properties shows. It's cheap and easy to get to the Languedoc now, thanks to budget airlines like Ryanair. Budget airlines have opened up new areas of the Languedoc to both ex-pat settlers and holiday makers. So, more people buy property there to rent out as holiday lets as well as for their own use. Properties near to Ryanair airports are among the most popular in the region (The Best Property Near Ryanair Airports in France). Apartment for sale in Sorede, in the heart of The Alberes ! On the 1st and 2nd floor of a stone made village house, 35 sqm bright duplex apartment completely renovated in 2015 ! 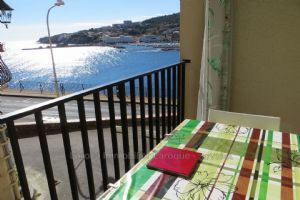 In the absolute quietness and only 5 min walk to all the shops, bars and restaurants of Sorede, this apartment has a 13 sqm terrace, a 16 sqm living room with wood burning stove and a fitted kitchen with access to the terrace. Bathroom and bedroom with balcony upstairs. 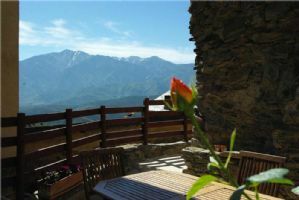 Benefitting from breathtaking views on the Canigou Mount, this is a full of charm and character village house in the lovely Hamlet of Jujols on the way to th ski resorts of the French Catalonian Pyrenees. It offers a total of 115m² total living space on 2 levels comprising a total of 5 bedrooms, 2 shower rooms, a study, a large living dining area with a lounge part and its open fire, a dining area and a kitchen. 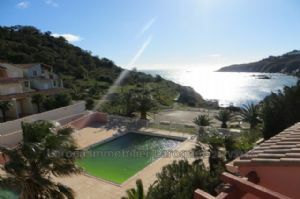 The property also includes various terraces, outbuildings and 265m² garden. Charming villa, fully renovated, with 145 m² of living space, garage, terrace and garden. Charming villa from the 40's, fully renovated with garage, terrace and on a 410 m² plot offering 145 m² of living space including 3 bedrooms and 2 bathrooms. In perfect condition and ultra comfortable in a lively fair size village. 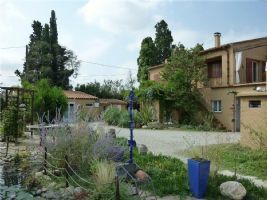 This authentic catalan farmhouse is set in the most beautiful location, surrounded by gorgeous countryside with outstanding views and being remote but not isolated the nearest shops being within a 10 minute drive and the popular market town of Céret just five minutes further. Situated on the edge of Claira and nestled in a park of 4400m² with mature trees, pool, pond, garages, workshop, shelter and various terraces, this villa built on 2 levels offers 260m² total living space. It comprises on its lower level 3 spacious bedrooms, 1 bathroom, a large entrance hall, a colorful dining room, a spacious lounge with firepace open on a shaded terrace, a game room (possible 2nd sitting room with fireplace) and 2 fitted kitchens. 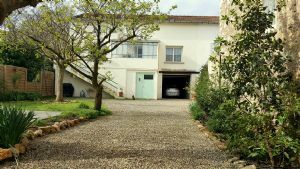 Amazing commercial property (agricultural and gites) offering 385m² living space in 4 houses with a totaL of 10 bedrooms, 8 shower rooms, a kitchen and reception room in each, and a mobile home with 2 bedrooms, a shower room and living dining area. They all benefit from private outside space and access to garden. 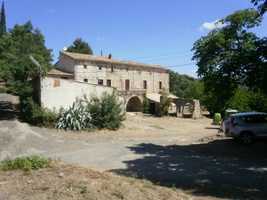 Wine production domaine on 137 hectares of private contiguous land in a beautiful location. Wine producing domaine of 137 hectares including 14 hectares of planted vineyard (AOC), 20 hectares of fields and 100 hectares of woods, all self contained with no rights of way or servitudes (rare! ), in a beautiful hilly picturesque region. The wine production cave allows vinification of up to 1500 hectolitres (actually procudes 800-900). The actual edifices have their origins in the 1700's but are built on an ancient Visigoth site and Roman villa.